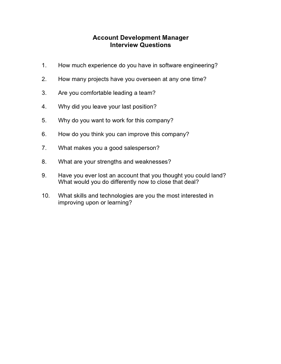 Choose your next Account Development Manager with the aid of these helpful interview questions. 7. What makes you a good salesperson? 9. Have you ever lost an account that you thought you could land? What would you do differently now to close that deal?